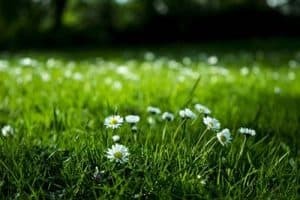 Natural grass lawns are great, but they do require a lot of maintenance, continuous watering and in most cases they require weed control products where artificial turf does not. So, if you are considering replacing your natural grass over to artificial turf here are more reasons to do it. Also, see some of the benefits of artificial turf towards the bottom of this article. Most research shows that many weed-killing pesticides contain chemicals that can be harmful to your children and pets, whether it is mixed in fertilizer, spray or powdered form. Children love to go outside and play on the front and back yards, and dogs are always sniffing and smelling, rolling on the grass and playing in the garden. Fun right? Sure is, except that you might have a regular weed control company coming out once a month or you are doing it yourself with toxic weed killer products. Most weed killer products recommend that you wait 24 hours before you let your pets on the treated area on your lawn or flowerbed or garden. Certainly the same probably applies to children. Are soft, comfortable and plush to the touch. Save Money! 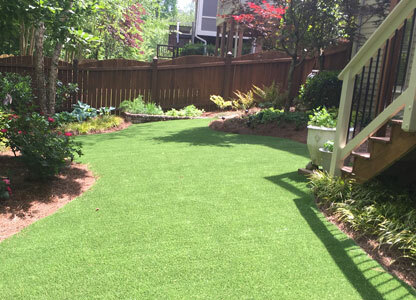 Once we install ProGreen Artificial Turf you will no longer have to deal with lawn treatments and maintenance. If you are concerned for the safety of your children and pets when they play outside on the lawn that has toxic chemicals on it, then give us a call or emails us to schedule a free quote.